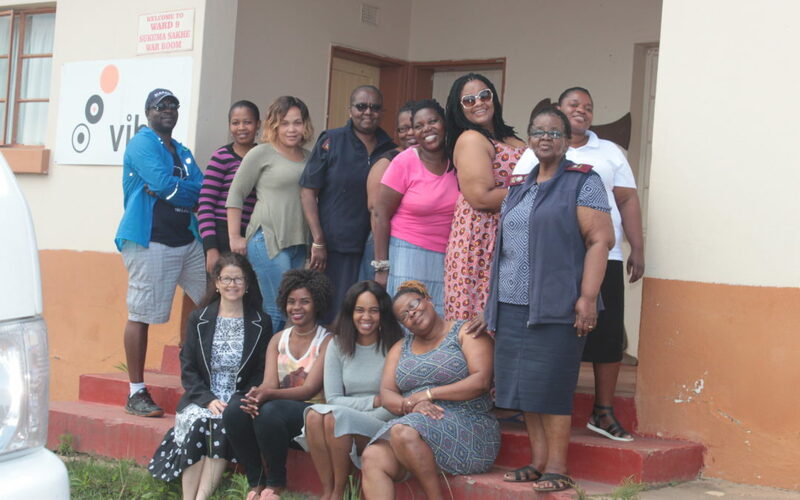 Marking 5 years of clinical research in Ilembe the team is closing for the exam period. “We have recently seen very severe cases of Female Genital Schistosomiasis (FGS)”, says Nurse Nombeko Mpofana (right). “Some have no choice but to use the river for laundry and personal hygiene”. She is one of the senior nurses who have come out of retirement to be a youth research nurse. Staff members may work as drivers who fetch young women in schools, or interviewers and HIV counsellors who can handle sensitive issues, there is a teen liaison officer who is a “mother” in the waiting room, and the fact verification officer and the data manager make sure that the collected data makes sense. “The research team has two major goals”, says Sister Mpofana, “namely to make sure our study participants are treated well and we provide reliable information”. (1) Biharzia as a risk factor for HIV.